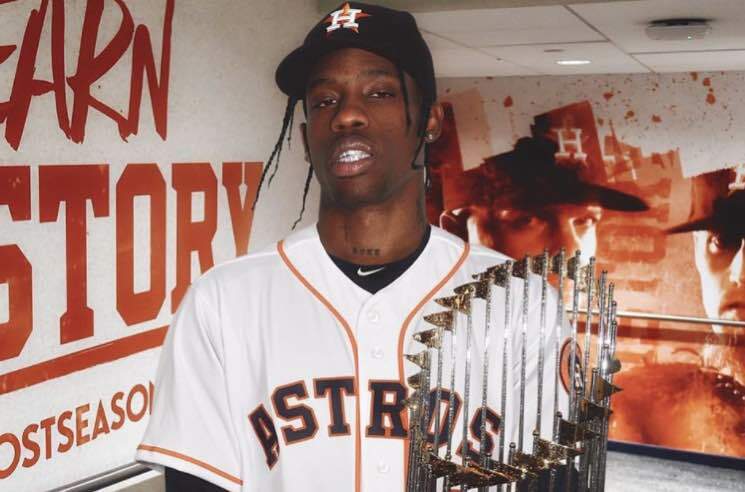 Ever the festive dude, Travis Scott has moved on from celebrating Halloween with Texas Chainsaw Massacre-inspired masks of his own face to toasting his home team for their World Series win. Yes, the Houston Astros took home their first World Series last night (November 1), and just because the rapper called the outcome in advance, it doesn't mean he wasn't stoked when they actually pulled off the win. In clips compiled from Scott's Snapchat, we see him letting his H-town pride show, certifying the championship game "lit." He's not the only star celebrating the victory, though. Check out what a few other famous fans has to say about the game below. Salute to the @Dodgers for a stand up and tough fight! Congratulations to most of the Houston Astros!